Apart from the annual package family holiday, I had never travelled before. I was concerned that my lack of travelling experience would hold me back from doing an elective placement abroad. However with the massive help offered by Work the World I was able to fulfil an unforgettable experience. My experience started from the moment I landed in Kathmandu to the moment I left to come home. 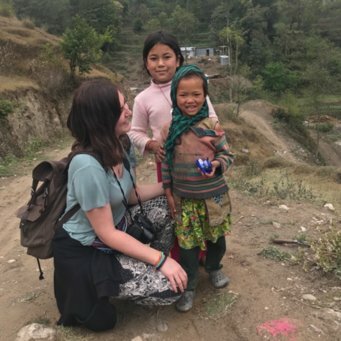 Although I had been prepared by Alison at Work the World about the culture shock nothing prepares you for the hustle and bustle of Nepal. I landed In Kathmandu and was overwhelmed by the whole experience especially the poverty, people fighting to carry my bag for this smallest tip to women going through rubbish to find the smallest scrap of food. I questioned whether I had made the right the decision. 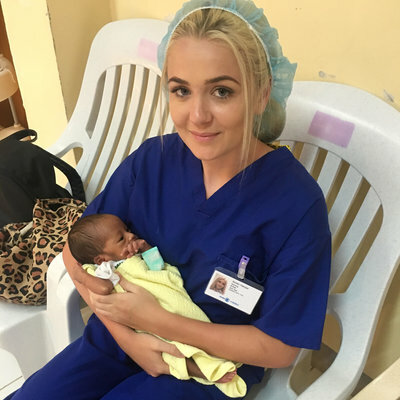 I chose to split my 4 week placement and spend time on the Maternity and Paediatric wards. The Maternity ward was chaos with women and their new arrivals sleeping on battered beds, the floor and wooden benches in corridors. Within the first stage labour room I was often involved in listening to the baby's heartbeat and checking the baby's position. The delivery suite's 3 beds were often occupied. During deliveries the nurses encouraged me to assist them with the delivery and care for both mother and baby. Women give birth without pain relief and the support of their family, as they are asked to wait outside. I also had the opportunity to watch c-sections in theatre, attend anti natal classes in outpatients and spend time in the neonatal unit. To observe the lack of resources I felt ashamed at how much the NHS wastes. However the skills and imagination the nurses demonstrated with the resources they had was inspiring. The Paediatric ward is surprisingly a lot quieter. Parents carry out personal cares, whilst the nurses carry out procedures such as dressing changes and drug administration. On arrival of the shift a handover is given, often in Nepali, however the handover book is written in English. Following handover, beds are made and bed spaces are tidied. 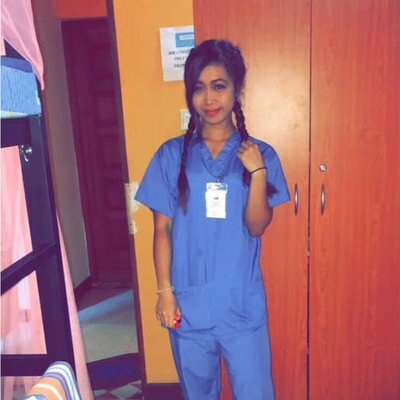 I participated in all tasks carried out by the nurses on the ward including; drug rounds, vital sign observations and distraction during procedures. During doctors round teaching is often given, as well as the opportunity to visit the post operative and intensive care units. The nurses took a while to get used to me. My first day on the Maternity Ward they were astonished by my practical Clarks shoes (they were all wearing flip flops!!). Whereas my last day on the Paediatric ward I was sharing lunch and tea with the nurses, as well as swapping email addresses. There were times where my emotions were challenged. I witnessed a case where a baby needed special care that could only be provided by a private hospital, his parents could not afford to have him treated. Often children admitted to hospital were the result of untreated illnesses, such as urinary tract infections and chest infections. The lack of equipment was evident with only 2 nebulisers on a ward of over 30 children, the majority suffering with a respiratory complaint. Gloves were also regularly washed out and re-used. To observe the lack of resources I felt ashamed at how much the NHS wastes. However the skills and imagination the nurses demonstrated with the resources they had was inspiring. After a hard day at the hospital I would often come back to the Work the World house and compare stories of the day with the other students. It was often a competition as to who had seen the most shocking thing!! The in country staff were amazing; they made sure we were well looked after, well fed and having a good time. The house had a friendly, community atmosphere and we would often spend the afternoons, evenings and weekends together. We did a lot of exploring in Pokhara, visited Devi's fall, climbed Sarangknot, admired the views from the Peace Pogoda and spent many lively nights at the Busy Bee bar in Lakeside!! After sadly departing Pokhara I also spent some time in Kathmandu. I explored the Monkey Temple and did some last minute souvenir shopping. Kathmandu has a different feel to Pokhara and is a lot busier but definitely worth seeing. So now I refer to my original question was it the right decision? Of course it was! I have memories I shall never forget. I experienced a whole new culture, made new friends and have learnt a lot about myself. I shall definitely return to Nepal.